Aran is our lead course content creator and presenter here at Bright Health Training. He’s got the knowledge and a passion for sharing it with others! Aran started his career as a Remedial Massage Therapist in 2002, he has over 12 years of clinical experience. 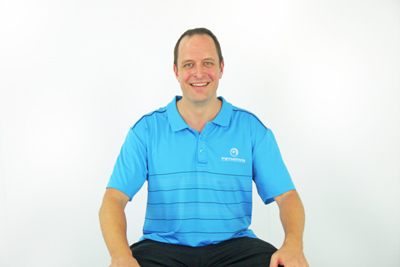 In 2008, after graduating with his Bachelor in Musculoskeletal Therapy he established himself as an industry academic, teaching Remedial Massage and Musculoskeletal Therapy at the Australian College of Natural Medicine. In 2009 the college became the Endeavour College, now Australia’s largest provider of Natural Health courses, where he was instrumental in the development of the current Bachelor of Health Science in Musculoskeletal Therapy. Aran currently works with a number of education providers, teaching and developing courses in health and fitness, myotherapy and massage. Aran likes to deliver the content he is most passionate about, in a straight forward and open teaching style and he gets amazing feedback here at Bright Health Training! Because he can genuinely relate to the needs of Therapists and convey his own experience. Clinically, Aran has treated a wide variety of people from all walks of life, including elite sportsmen and women, at professional level. He is driven to help others improve their lives and performance through exercise therapy and learning. His speciality is improving function through soft tissue therapy. Aran is constantly updating his skills and currently completing his Masters in Sports Coaching with the University of Queensland. Soft Tissue Therapy – musculoskeletal assessment, myofascial release, trigger point therapy and stretching. Myotherapy – myofascial dry needling, joint mobilisation, cupping, rehabilitative exercise, taping, TENS and Muscle Energy Techniques. Remedial Massage Therapy – deep tissue, relaxation and sports massage. Personal Training – strength, cardiovascular and flexibility training. You can read more about Aran on his LinkedIn profile. Sheree is part of our content development team and assists Aran with exercise and demonstrations in the videos. “We are Therapists ourselves, who want to share our experience to educate others and help them get the most out of their career” she says. Sheree trained as a Massage Therapist in 2005. From a corporate background, she understands the challenges of posture, ergonomics and symptoms of overusing the body. In particular, She is passionate about treating musculoskeletal disorders, preventing injuries and finding ways to manage stress. 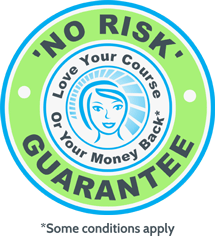 Sheree is currently practicing as a Remedial Massage Therapist to keep her skills current and working on developing new concepts for courses and workshops. Also a Director of a successful Corporate Massage business in Brisbane since 2009, Sheree personally trains all the Therapists to carry out effective seated massage techniques. She likes to individualise each treatment with a combination of remedial and relaxation techniques, to help restore balance in the body. Sheree enjoys helping organisations to create a positive culture and work-life balance for their employees. She specialises in facilitating events such as sports days, health days and Stress Down Days. Sheree likes to keep fit by doing body-weight intensive exercise that is low impact on joints, such as pilates and yoga. You can read more about Sheree on her LinkedIn profile. Steve is our resident digital producer. He has a passion for technology, expensive studio toys and software and lives and breaths high quality production ideals. In other words Steve loves being in the studio pressing the buttons and directing us to look and sound great! Steve brings a varied skillset to the Bright Health Training team, having worked in a range of technical roles over the past 10 years such as music producer, audio engineer, live sound engineer and AV technician/installer both in large organisations and a freelance capacity. Now he lives in the world of the web development, mobile applications and digital content production. Steve has experience in both agency and client side website project management roles working with technologies such as iOS, WordPress and Magento. Steve appreciates a healthy lifestyle (when his back isn’t playing up) and enjoys ocean swimming, calisthenics, pilates, meditation and running after his 2 young daughters, wherever that may lead him.